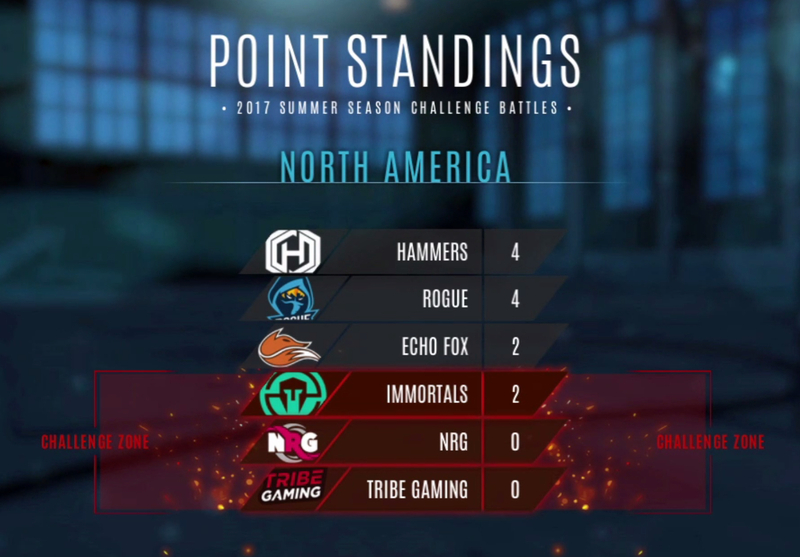 The first challenger battles of the Summer 2017 North American season have officially wrapped up. 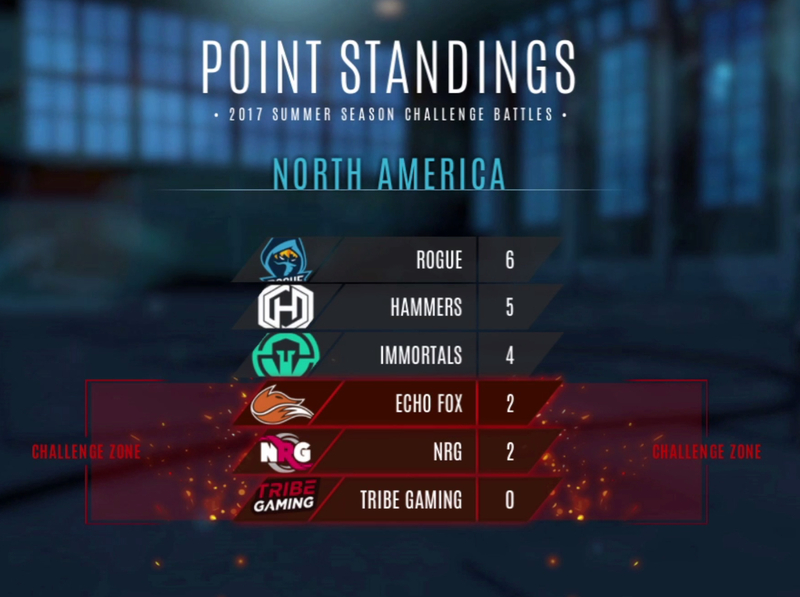 We saw teams: NRG Esports, Echo Fox, and Hollywood Hammers take on the top three teams from the VIS challenger series: Immortals, Rogue, and Tribe Gaming. A new format was added to change the challenger battle from a head-to-head competition to a style that is closer to a round robin. The challenger battles offered many great matches bringing some surprises along the way. This season for the Vainglory 8 challenger battles, a new format was employed. For anyone who is unfamiliar with a round robin format, this is a YouTube video giving a simple explanation of the traditional format. 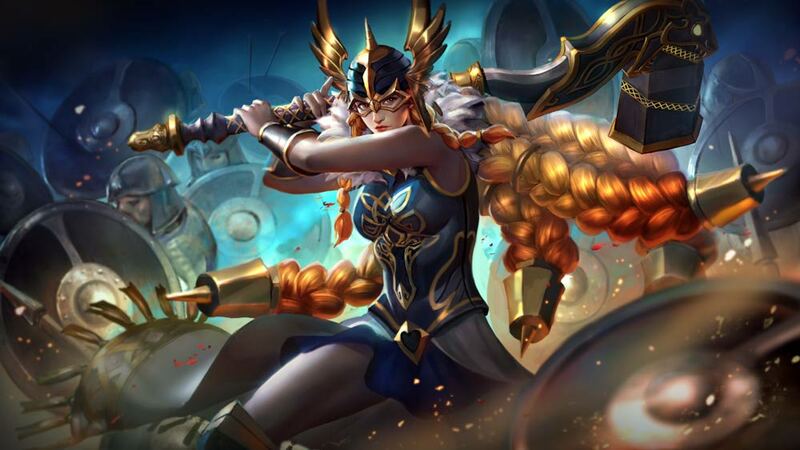 Vainglory took a spin on the traditional format. 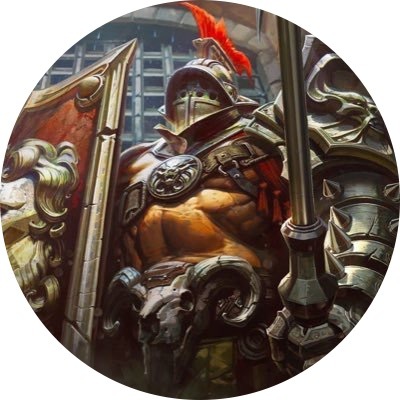 In the challenger battles, the round robin format was modified so that every team currently in Vainglory 8 would play each challenger team once, in a best of three series. Each match won would score the team one point. The three teams with the most points at the end of the weekend were gifted the last three spots in split 2 of Vainglory 8. Day one started off with a dominant performance by the heavy favorite from the challenger series, Immortals. They took down NRG eSports 2-0. In the second series of the day, Rogue and Echo Fox played two much more passive matches, both of which resulted in wins for Rogue. In day one of play, two series took place off of the main broadcast. Hollywood Hammers and Rogue eSports both took victories 2-0. After a slower start to the season, Hollywood Hammers began to gain momentum from their win against Immortals. They took down Tribe Gaming 2-0 to tie them for first place after day one. Day two started with a matchup between Echo Fox and Immortals. These two teams are sitting on the fence between making the Vainglory 8, or being recycled and having to work their way through the challenger series. On the back of ttigers, Immortals was able to claim the 2-0 victory in the series. The second series on day 2 pitted Hollywood Hammers and Rogue eSports in a series to determine which team would walk away the winner of split 1’s challenger battles. This weekend Rogue solidified their spot in split two of Vainglory 8. On Saturday, their roster consisted of eVoL (Captain), Hami (Carry), and PONtheoriginal (Jungler). On Saturday, Sibs received the start in the Jungle. Through his aggressive play style and outstanding Krul gameplay he was able to help his team to reach split 2. Coming off the bench and performing at such a high level is not an easy task, however, Sibs made it look easy. During the challenger battles we saw a slight shift in the meta, as well as a different thought process in drafting. This mostly came from the tendencies of teams coming out of the challenger series. 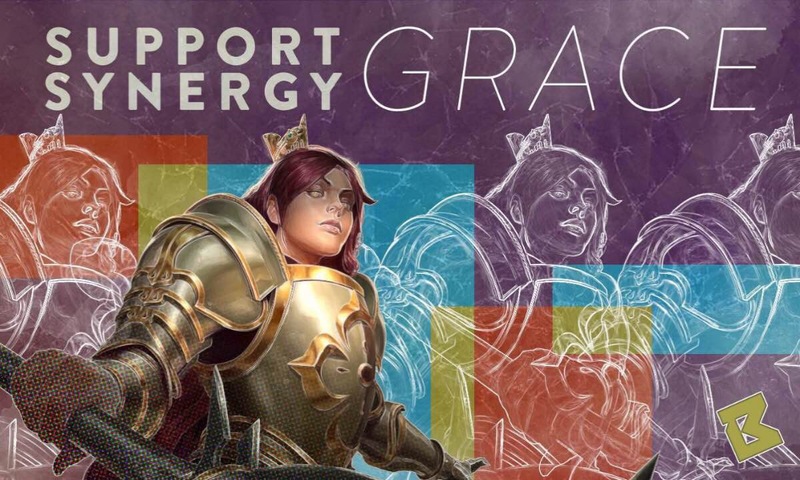 We saw both Lyra and Grace being banned 10 times. Two of the most picked heroes this week were Samuel and Kestrel. They were picked 8 and 9 times respectively, while only being able to pick up 3 wins each. One trend that became noticed in week 4 of split 1 was the emergence of Krul as a semi-meta pick. This was mostly due to VONC and his outstanding play. In the challenger battles we saw Krul picked 5 times and win all 5 of those games. This has become an increasingly common pick as the meta changes.